Papaya Apartment is situated in Kalkan, Turkey. Our holiday rental property sleeps up to 5 people. Papaya Apartment has has 2 air conditioned bedrooms. If an additional bed is required there is 1 folding bed. The villa can sleep up to 5 people. The lounge opens directly on to your own private poolside patio. Kalkan Suite has a large modern 'wet room' style bathroom. Great place, close to everything. Nice views from terrace. Everything you need. I can say only good things about this apartment, It is located in an ideal place. This Villa is walking distance to beach and restaurant. pool area and view are great too. Highly recommend. Beautiful apartment in great location. Was perfect for my Finance and I. well equipped and clean. Great apartment, roomy, clean and well equipped. Will stay here again. Everything we needed and still close to everything! 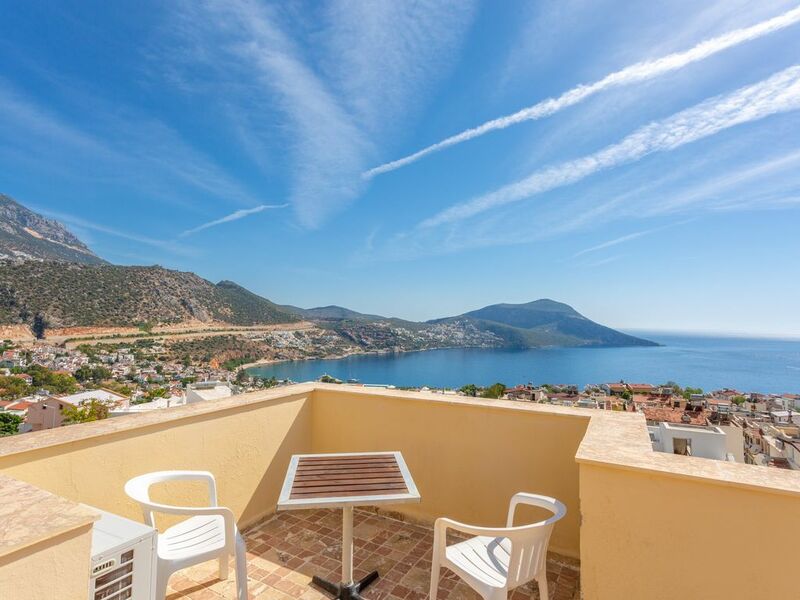 Lovely apartment with plenty to do in Kalkan. This apartment is walking distance to great bars and restaurant. We really enjoyed an authentic Turkish holiday. Kalkan is a beautiful town with Ottomen era character. Once a Greek fishing village called Kalamaki it is now a upmarket resort offering its visitors a wonderful experience of Turkish hospitality. The waterfront has a selection of restaurants and bars to relax & watch the boats in the harbour or you can shop in one of the many shops selling local crafts & designer clothing. •	Payments by Credit Card (Visa/Mastercard/Amex) or Bank Transfer. •	20% Deposit required to secure booking. •	Rental Rates include all local taxes, utility bills and final cleaning. No additional fees to pay when you leave. •	Maid Service, Laundry and Towels included within rental rates. •	No breakage security deposit required. Instead, 5 Euro charge per person for a BDW (Breakage Damage Waiver) to cover any accidental breakages is charged. •	The above calendar is accurate and automatically updated daily. •	You can request to 'Place A Hold' for 48 hours while you decide. • Booking Notes - No smoking inside the property. • Rental durations less than 7 days considered if it fills a gap.